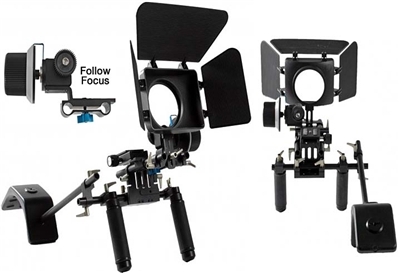 • Follow Focus easily mounts on left or right side. 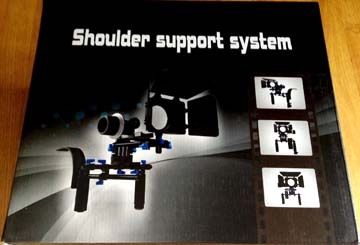 • The 15mm rods & mounting hardware are compatible with many of todays rigs. • Complete with magnetic and keyed marking ring. 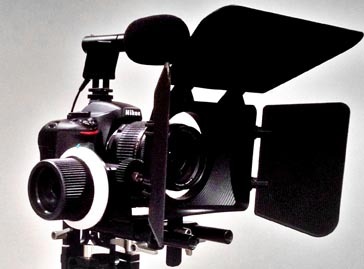 Best price system to create steady professional looking videos. 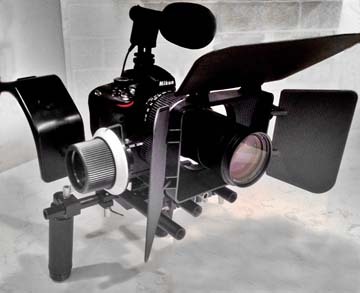 Complete with Rig, Follow Focus unit and Matte Box. Arca Swiss style quick release. 15mm rods are compatible with many of today's rigs.